Her own change-making ability has also been recognized. 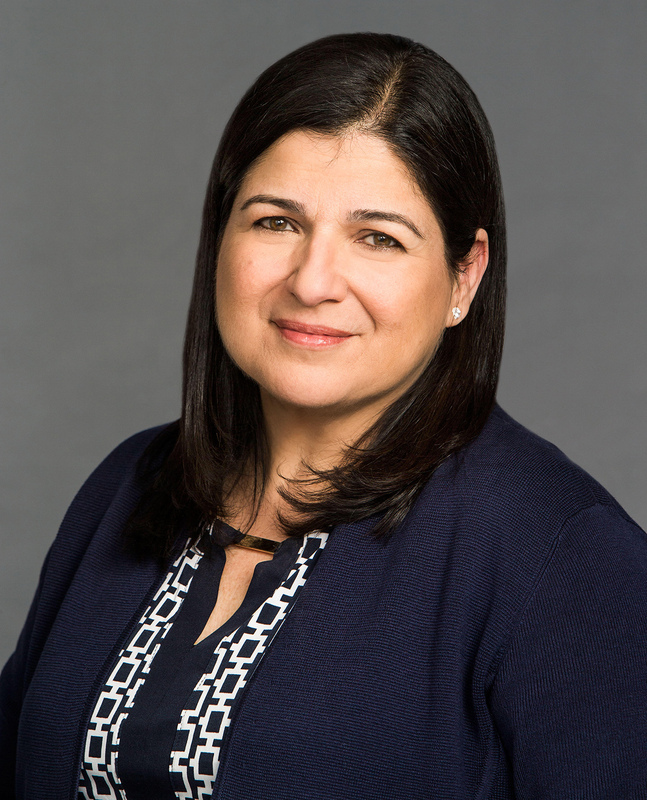 Martinez was named one of the 50 Most Powerful Latinas in corporate America by the Association of Latino Professionals for America (2017), Top 50 Most Powerful Women in Technology by the National Diversity Council (2014) and a Distinguished Alumna of the college (2014). But she is most inspired by helping future generations, especially women and other underrepresented groups, find their own path to success. Martinez recently took the time to share her passion for paying forward, advice for new alumni, and her work at the world’s fastest-growing top-five enterprise software company and number one CRM provider. What does your current your role at Salesforce entail? I’m fortunate to work for a company who puts the customer at the center of all we do (as we say, “Nothing is more important than the success of our customers.”) and I head up the organization ultimately responsible for delivering personalized success to all 150,000+ of our customers globally. This means working directly with our customer base to understand what success means to them and to help them execute against their goals. This includes customer success managers, advisors, consulting, technical support and renewals. At Salesforce, we use the term Ohana, which is Hawaiian for “family,” and we work diligently to ensure that our customers feel like they are an important part of our Ohana. What are you working on now that most excites you? Our customers are doing some very cutting-edge things to compete in their respective industries and connect with their customers in new ways, and it excites me to learn from them and to see them succeed in ways that they never even imagined. What do you find most rewarding about your work? Most challenging? Keeping up with the ever-changing demands of a rapidly growing, global customer base is challenging but always exciting. Because of our close relationship with—and focus on—the customer, this task always seems manageable. I love seeing the ah-ha moments that our people personally bring to light for our customers each day. To know that we’ve helped them to get somewhere that they may have previously thought to be impossible is extremely rewarding. What professional contributions/achievements are you most proud of? I’m most proud of the people … of the teams I’ve built and of what they have accomplished. In the services world, people are the business and I have been honored to work with the best that there is. You were recently named one of the 50 Most Powerful Latinas of 2017, to what do you attribute your success? Bold thinking and risk-taking have led to some of my most memorable personal and professional achievements. When I’ve pushed myself out of my comfort zone, I’ve always been amazed by what I’ve been able to learn and accomplish. Also, surrounding myself with an amazing group of people who have supported me, my ideas and my career aspirations has been key. Salesforce was ranked #1 in Fortune’s 50 Best Workplaces for Giving Back, what personally inspires you to give back? The possibility of shaping future generations for the better is what inspires me most. The future holds so much opportunity, which—even in this day and age—is still only accessible by a relatively small population of people. I’m motivated to alter this reality by supporting programs that provide more exposure to underrepresented groups, inclusive of women and young people of all backgrounds. I sit on the board GenesysWorks - Bay Area, a non-profit that is changing the trajectory of underprivileged high school students by giving them access to the training and the meaningful work that will shape their future professional success, and find it extremely rewarding. It was highly recommended by coworkers, for great education and great community and environment. Do you have any advice for your newest fellow alumni who have leadership aspirations? Never lose that beginner’s mind; always stay curious. Even though the classroom lectures, the studying, and the exams have come to an end, the learning should never, ever stop. Adopting this beginner’s mind as a philosophy will serve you well in life. You’re about to get thrust into a fast-paced world that will pull you in a million different directions, many of which you may not want to go in. In that, as much as you say yes to things, don’t be afraid to also say no in order to maintain focus and accomplish your goals. Leadership is not about always knowing the answer (or what to do), but rather about always being willing to learn, adapt and adjust. Some of the best leaders I’ve seen are master simplifiers. We live in a complicated, fast-paced world and there’s a tremendous need for leaders who can cut through the noise and clear the way for their people to do their best work. Be flexible and open to what the future has in store; some of my best experiences were ones I could not have planned or predicted. My industry, my field, my role, the customers whom I serve, did not even exist when I started my career 30 years ago. I would have significantly limited my options had I had a concrete plan in place. About 20 years ago, I was encouraged to draft a personal handbook – just a one-page document that detailed things like what I stood for, how I spent my time, what characteristics leaders and teams possessed, etc. I revisit this every year and am always amazed by how little I’ve changed over the years and how my guiding principles have led me to some pretty amazing personal and professional successes.